Jancon Exteriors provides a full spectrum of residential roofing services in Franklin, Walpole, Mansfield, Massachusetts and surrounding areas. Whether you need a pre-monsoon inspection of your roof, storm damage repair, emergency roof repair, or a complete roof replacement, you can count on us for superlative yet affordable residential roofing services. Our team comprises widely experienced roofing experts with proven competence in their respective fields, all sharing the common vision of delivering the perfect blend of quality and value. Any damage to the roof, no matter how trivial, may lead to graver damages under the influence of external elements. 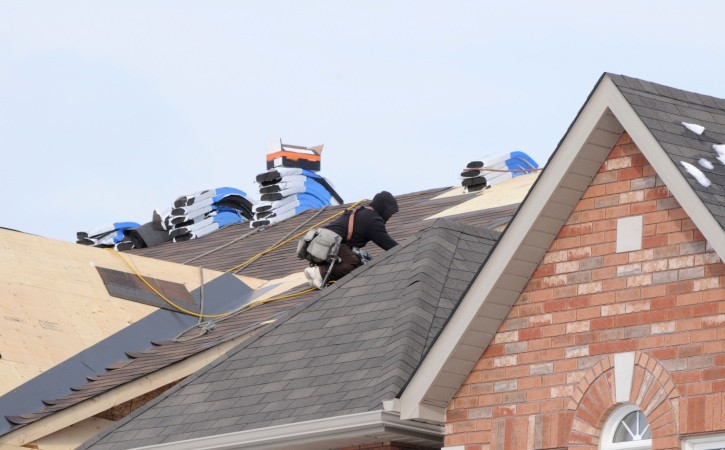 As your residential roofing contractors, we are equipped to handle all types of roofing issues, such as dislodged flashings, cracked waterproofing and water ponding. Our certified experts leverage cutting-edge equipment and restoration techniques to restore roofs in the minimum possible investment, while upholding superlative quality standards. For residential roofing systems with extensive damages, we may have to proceed with a complete roof replacement. Our experts comprehensively examine the roof and suggest the ideal replacement option, after considering all vital factors, such as climatic conditions, budget, property’s architecture, and local building norms. At Jancon Exteriors, we meticulously plan our projects, covering even the minutest details to ensure complete client satisfaction. Whether you need residential roofing repair or a new installation, look no further than Jancon Exteriors. Give us a call at (508) 520-3935 for a free consultation, or fill out our contact form and we’ll get back to you shortly.